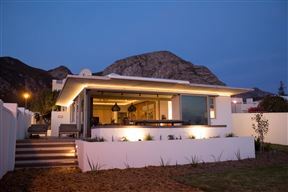 Experience relaxed seaside living along the Cape Whale Coast Route in Hermanus,. 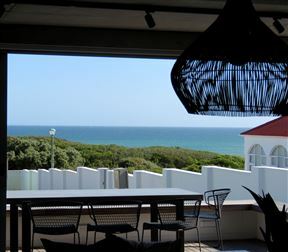 Breathtaking sea views,combined with clean champagne air, only 150m walk to various beaches Falling aseep and listening to the break of the waves, The cottage is situated right on the beach front of Voelklip. 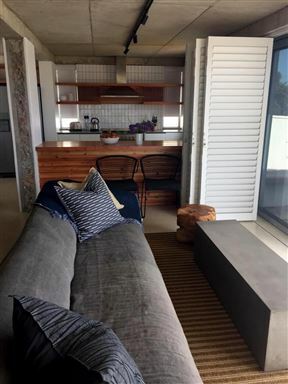 .A few meters from famous cliff path where you can enjoy walking, cycling, hiking or whale-spotting.Well designed open - plan indoor/outdoor flow with built in braai. The cottage has two bedrooms and two en-suite bathrooms. 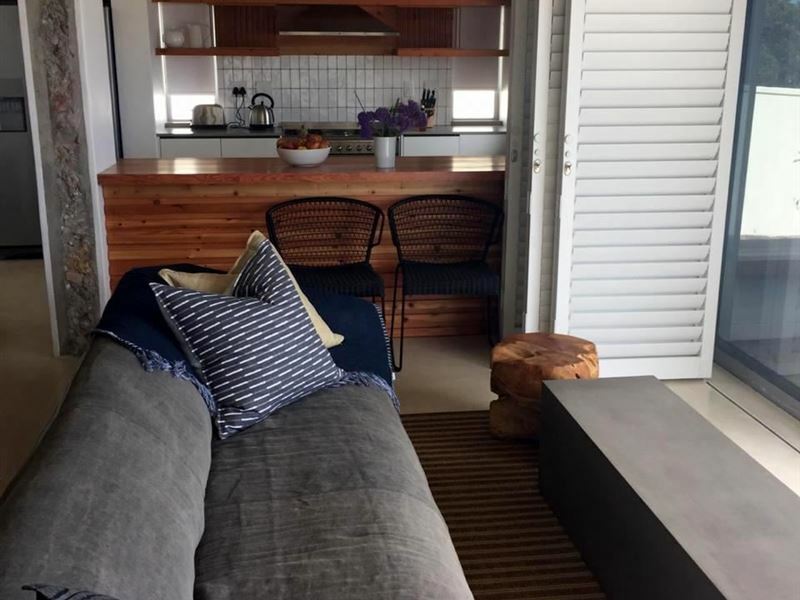 The rooms have air-conditioning, hairdryers and sliding doors leading to an outdoor area., full kitchen , TV lounge Patio lounge, braai, deck etc all with stunning sea views.Linen, bath towels and beach towels are provided and the unit also offers a camping cot and high chair for your little one.. 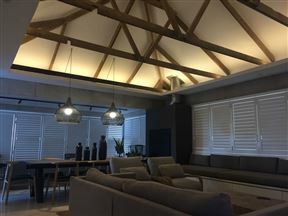 Adults enjoy either a queen-size, extra length or king-size extra length bed.The kitchen is ideal for self-catering and guests can dine at the dining table and chairs. 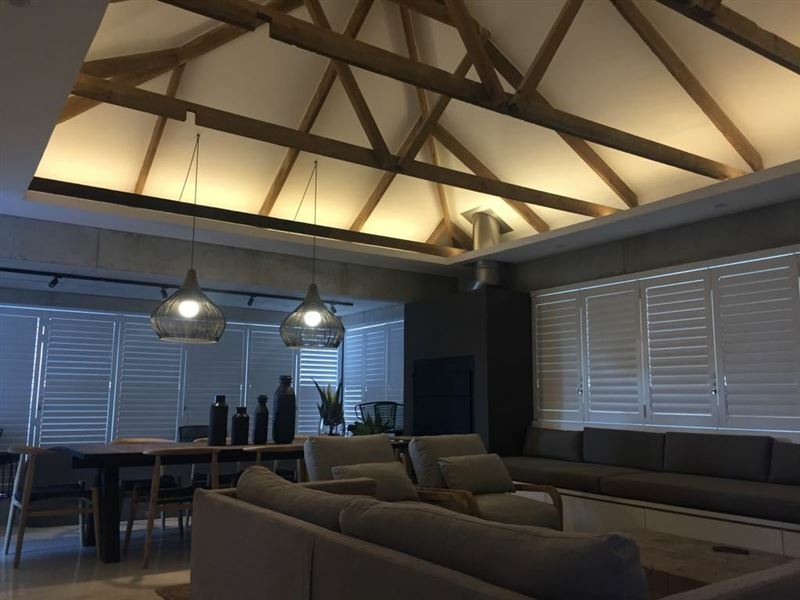 The lounge provides a great place to unwind.The whole dining, lounge and patio area opens up with all round glass sliding doorsEnjoy sea views from the patio where braai facilities are included. Troon Beach Cottage has Wi-Fi, satellite TV and parking on the premises. 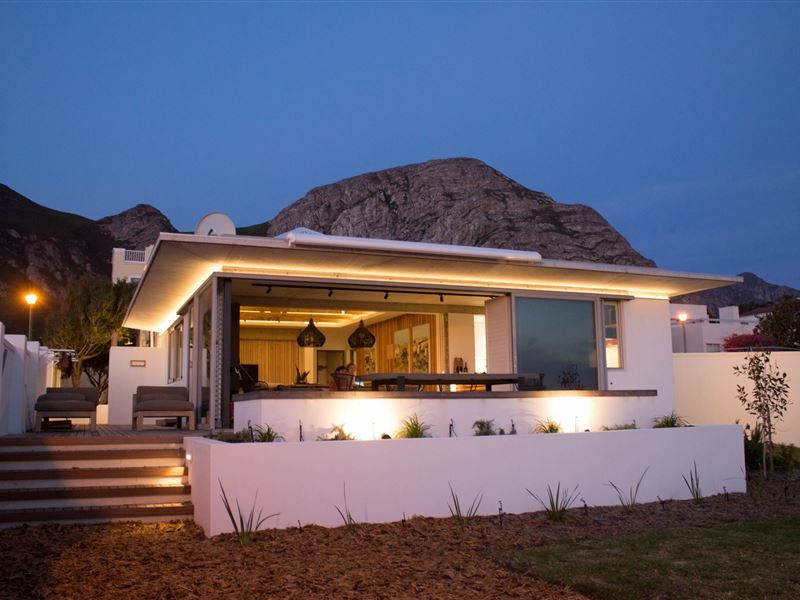 Hermanus offers guests various sunset walks, restaurants and places to swim. 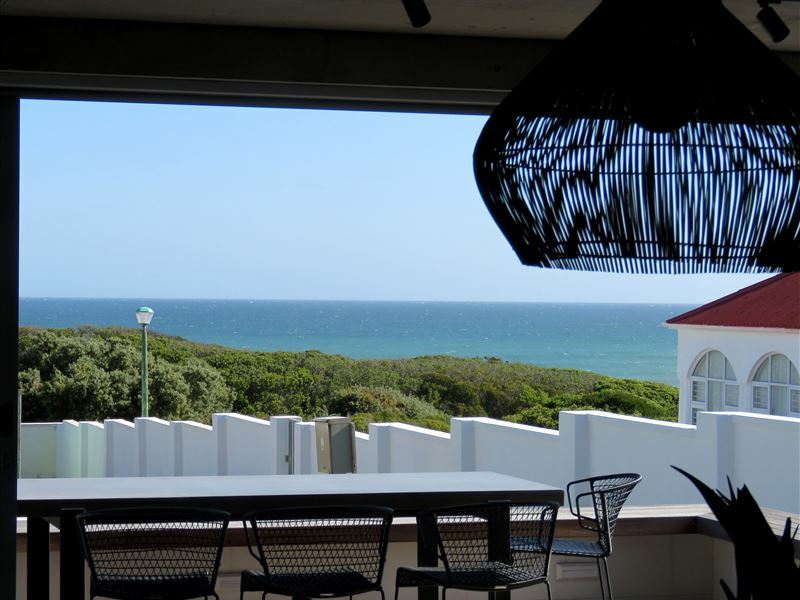 When in season, guests of Troon Beach Cottage can spot whales from the patio. Kitesurfing is a popular sport in Hermanus. 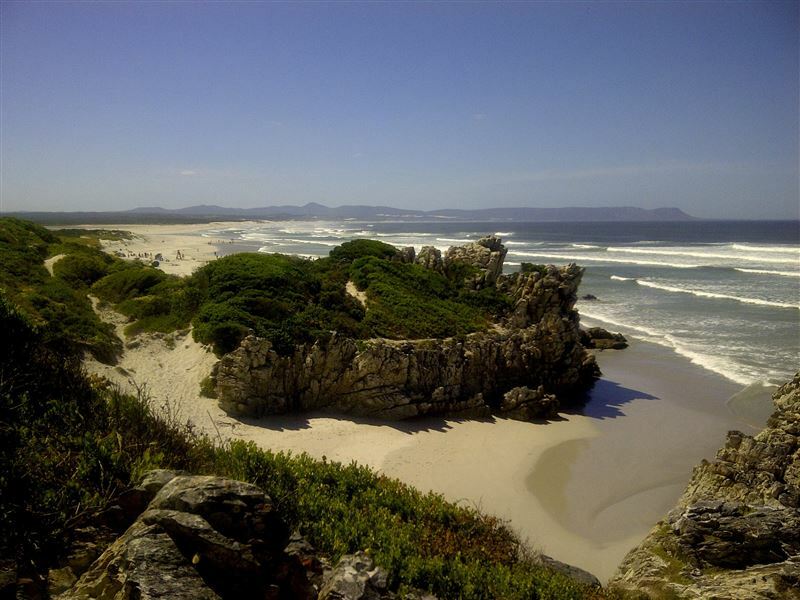 The entire area is surrounded by the impressive mountains of the Cape Overberg, as well as hundreds of species of spectacular fynbos. 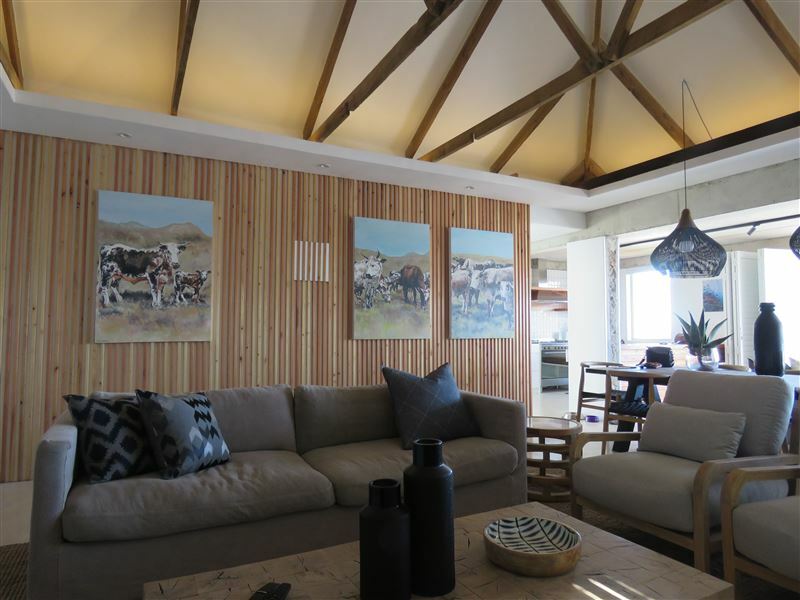 The cottage has 2 bedrooms and 2 en-suite bathrooms. 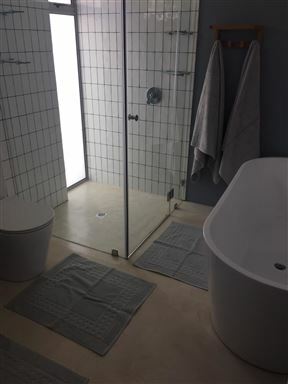 The rooms have air-conditioning, hairdryers and sliding doors leading to an outdoor area. 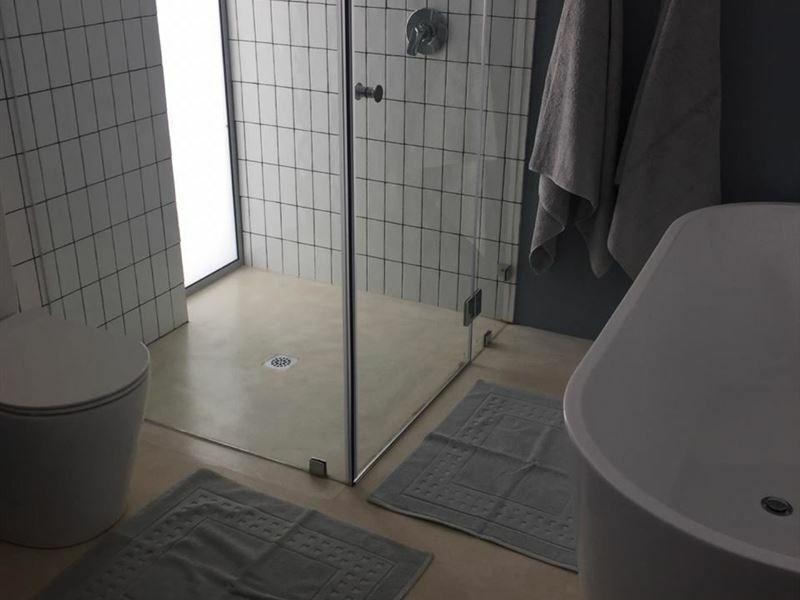 Linen, bath towels and beach towels are provided and the unit also offers a camping cot for your little one.